"Good evening. Welcome to Difficult Listening Hour. The spot on your dial for that relentless and impenetrable sound of Difficult Music. So sit bolt upright in that straight-backed chair, button that top button, and get set for some difficult music." Before I really discovered favorite radio shows such as Bend Sinister and Stalking the Nightmare, I used to fish occasionally in the late night waters of 2MBS to see what I could find. 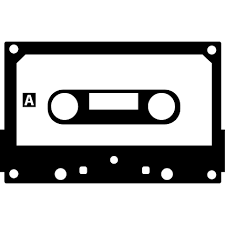 I captured what I liked and called the new category in my tape collection Difficult Music. The quality of these tapes is worse than most of my collections. I believe it is because the tape deck in the 3-in-1 stereo unit I was using to record them was wearing out. They are what they are.